FIVE HUNDRED years ago, Mansur Ali Khan's ancestors came from Afghanistan, equipped with superb skills in horsemanship, and looking for greener pastures. Salamat Khan, his forefather arrived in India in 1480 A.D. with his clan during the time of Bahlul, an Afghan of the Lodi tribe, says Tiger's uncle in his book on the history of the family. Bahlul was governor of the Punjab and later ruled Delhi. A mass migration of Afghans to India took place during his time. Salamat Khan's family was chosen to quell the Mevati tribe. 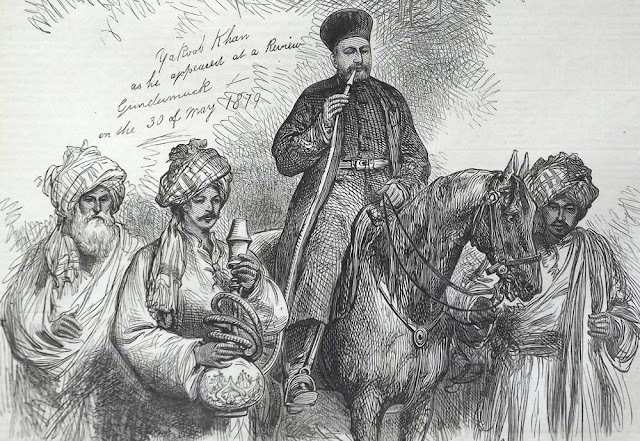 Bahlul's grandson, Ibrahim Lodi, did not trust the Afghan nobles. This led to their rebellion and Babur of Kabul was invited to India resulting in the Battle of Panipat. Ibrahim Lodhi was killed and Mughal rule was established. Salamat Khan did not actively participate in the Battle of Panipat. His great-grandson, Muhammed Pir, rose to power in Akbar's court. In the 18th Century, Alaf Khan of the family assisted the Mughal ruler in his battle against the Maharaja of Jaipur. He was rewarded with Kalam Mahal (which later came to be known as Pataudi House near Delhi Gate) to serve as the family residence. The princely State of Pataudi was established in 1804 by the British when Faiz Talab Khan (who was made the first Nawab) aided them in their battle against the Marathas. In 1857, the Nawab of Jhajjhar, the Nawab of Pataudi's cousin, joined anti-British forces and was hanged by the British. The territory was cut in half and Pataudi became a minor State.